Hello, I’m Dr. John Davis, a chiropractic physician for over 27 years. It has been my passion and pleasure to have helped so many patients with different health struggles and sufferings over the years. I started my journey on a decision I had made to become a Doctor of Chiropractic as a sophomore in high school. This decision was fueled by the many benefits my family had received from chiropractic care. I started my career by attending Cleveland Chiropractic College of Kansas City. After completing the intensive doctorate program and graduating in 1991, I have been in private practice every since. I had a private practice for 17 years in north east Kansas that was located about 1 hour from where my wife and I were born and raised. My wife, Carla, has now been my office manager for the past 25 years. We decided to branch out in this world and moved to east coast. We set up our private practice in Georgetown over 10 years ago and have really enjoyed helping the people of Sussex County. I continue to enjoy learning and keeping up on new technology and research by reading and attending weekend seminars to help my patients to the best of my ability. As you well know, things have changed in this world over the years and especially in the health care field. 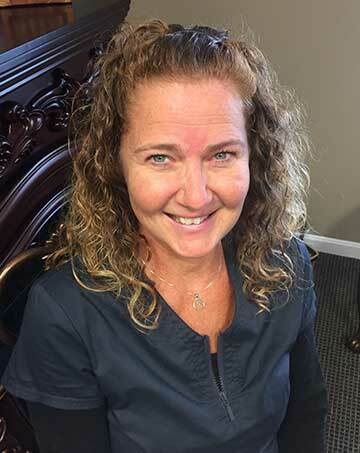 I have learned and incorporated new techniques such as decompression therapy, brain-based therapies, Trigenics therapy along with Class IV laser therapy to better serve my patients. I have had multiple trainings in disc and spine pathology diagnosis on MRI as well. While in my continued journey to helping people, I have found nutrition and the foods that we eat are one of the most important basic foundations of health. Incorporating advice on nutrition and eating has also become a necessity in helping patients to obtain their best health outcomes. It has always been my goal to find what it takes to get the patient healthier and as quickly as possible. In my spare time, I like working in my yard and garage. I have a love for old cars, trucks and motorcycles and attend car/motorcycle shows when I can. Our children and four grandchildren are fun to spend time with especially in the pool during the summer or throwing a good old game of corn hole. Carla and I like to take small excursions to see our great country and the things that it has to offer. Lancaster has been one of our favorite places. My hope is to make my patients lives better and add value to their lives. To help someone who is suffering is a great feeling. 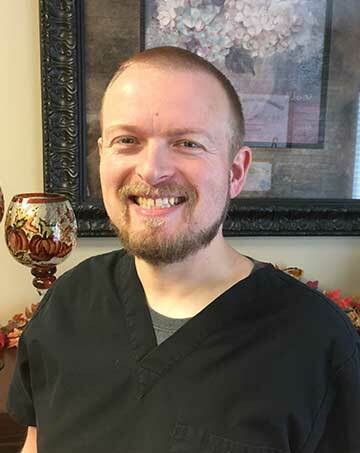 Dr. Adkins is a local Doctor who graduated from Salisbury University with a bachelor’s degree in biology before going on to Logan Chiropractic College in Missouri to obtain his Doctorate in Chiropractic. He is board certified by the National Board of Chiropractic Examiners and is an active member of the Delaware Chiropractic Society, as well as its former Treasurer. He started in Delaware and has been actively practicing for 6 years. 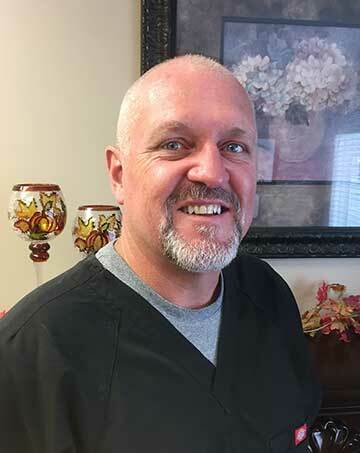 He has a gentle approach and specializes in several different adjusting techniques as well as having continuing education in myofascial techniques and neuromuscular retraining that is especially beneficial for athletes. Dr. Adkins love of chiropractic and genuine concern for others drives him to help people reach their health goals as well as treat low back pain, neck pain, knee and shoulder pain, as well as a variety of other musculoskeletal issues. The office also offers physical therapy and is equipped with laser therapy, decompression, and other modalities to get the fastest and longest lasting results. 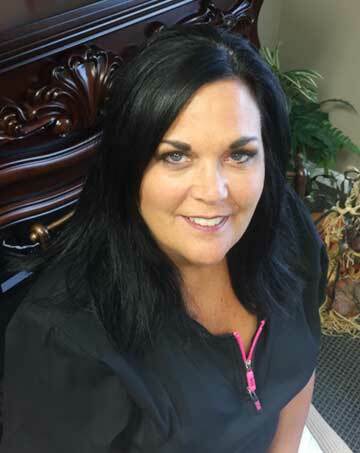 Hi, I’m Carla and have been the office manager for Davis Chiropractic for over 25 years. I began working with my husband, Dr. John, in our first practice in Kansas and practiced there for 17 years before moving to Delaware. Over these past years I have been able to help many patients with there health insurance filing and issues that arise. I am also responsible for managing our team and keeping the office running as smooth as possible. My teams’ goal is to make our work place pleasant and for the patients to feel comfortable, more like home and not just a number. I myself have health challenges because of an autoimmune condition. Because my husband, Dr. John, studies and attends seminars that cover many health issues I have been able to learn how to give our patients support needed during the challenging times. Out team is here to help get the patients healthier as quickly as possible. In my spare time I like to spend as much time spoiling our 4 grand-kids. Come visit our clinic and join our health family! Position to be filled soon! Hello.I’m originally from Lancaster Pa. Moved to Delaware about 3 years ago. Experienced in health and Nutrition as well as a CA. I also have my own personal journey with Chronic Lyme disease. Working with reducing inflammation and eating clean for pain management. Let me know how I can help you.